Everyone who learns a skill knows they’re learning. A leader told me he was learning a lot. I asked, What are you learning? He couldn’t name one thing. 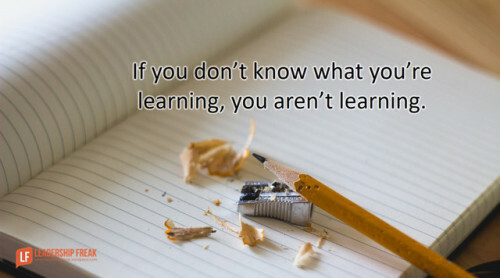 If don’t know what you’re learning, you aren’t learning.